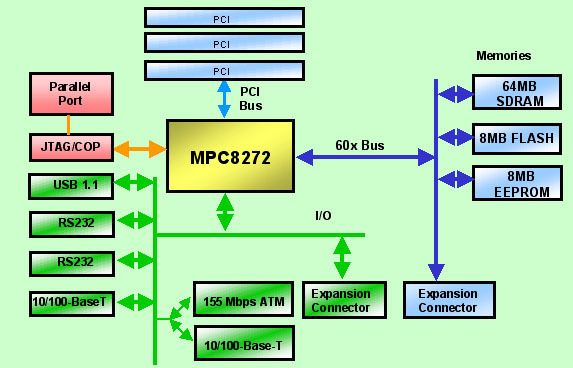 The MPC8272ADS board is designed to aid hardware and software developers of the PowerQUICC II family by providing an evaluation platform for MPC8272/48 derivatives in the 516-pin PBGA (ZQ/VR) package. TRACE32-ICD for PowerQUICC II/IIPro is a high performance JTAG debugger for C ,C++ and JAVA. 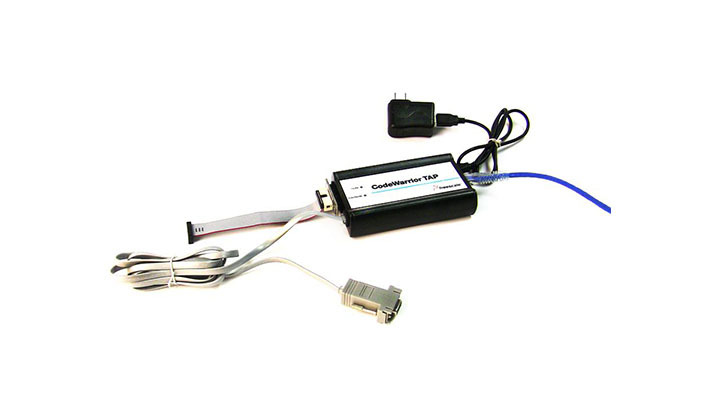 A USB 2.x, LPT or ethernet interface is available for connection to any PC or workstation. A flash programming utility is included. Optima is Enea's Eclipse-based C/C++ development tools suite optimized for debugging OSE and OSEck applications. Optima supports advanced features like run-mode and post-mortem debug, system and pool browsing, and much more. View time-based behavior and performance of complex software systems with support for single core and multicore, multi-OS systems. Suited for projects with large sets of event log, telemetry, and performance data that need in-depth analysis. Parses incoming Ethernet frames to up to 8 BD rings according to protocol type (UDP, TCP, ARP, etc). Additional BD ring is dedicated to unspecified protocol. Each ring has a private flag in the FCCE. A memory testing tool, implemented in microcode, for systems designed with CPM or QE-based devices. 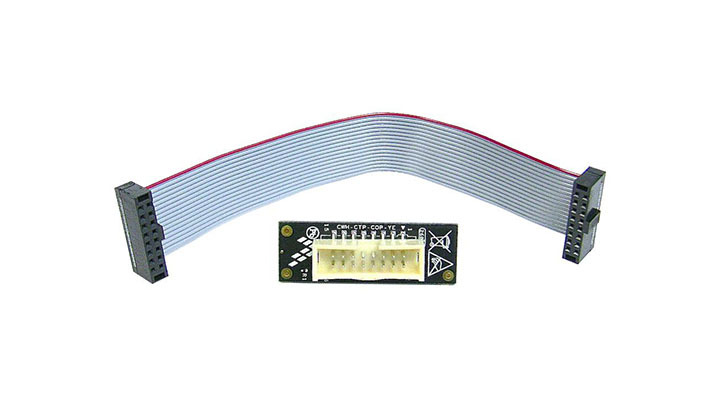 Can be used with Static, Dynamic, SDRAM and DDRx. MemTEst can also be used to fine-tune and adjust DDRx timing. Reduces the cost of context switching by sharing the overhead associated with interrupts between a configurable number of events. Dramatically reduces the host interrupt overhead to enable to maintain real-time performance. This utility checks source IP and/or destination IP of incoming FCC-Ethernet frames, for exact match. Unmatched frames are discarded or routed to a special BD ring. Theoretically, up to 32K IP addresses can be supported. Per BD request for IP and/or TCP. Saves substantial host processor budget. Separates frames from different protocols into different BD rings, resulting in significant saving on Host processing time. Application can also assign diff. priorities to diff. protocols. Supports: ARP,ICMP,TCP,NVP,UDP,IPv6,IPv6OverIP. Translates IP addresses to new IP addresses, thereby allowing a single device (router) to act as an agent between a public network and a private network. Module allows the efficient translation of multiple addresses to multiple addresses. Enhances the standard PQII Ethernet protocol. Boosts its performance by classifying incoming Ethernet frames according to user-defined patterns and masks. Frames are then either inserted into the corresponding RxBD ring, or discarded. An installable tool which dumps critical registers and stack trace-back into a predefined memory area. Also, calls an application callback function. Assembler based software that manages buffer pools. Supports pools initialization, allocation and release (free). Provides extended protection, such as double buffer release protection (can be disabled) and statistics counters. SFFS is a failsafe flash file system for NOR and NAND devices. It provides complete reliability and protection against unexpected power failures or resets. SFFS provides wear leveling and ECC algorithms to ensure optimal use of flash. Enea Netbricks line of protocol stacks are highly portable C code and compliant with published standards. Support include TDM, 3G, NGN, IMS, fax/data transfer and signal processing stacks as well as protocol analysis software. Green Hills offers scalable suite of integrated communication stacks, middleware and graphics solutions, including secure networking stacks and protocols, SNMP, web applications, wireless, CORBA, USB, CAN and advanced file systems. The Enea Hypervisor simplifies homogeneous and heterogeneous multicore project development by allowing a mix of master and guest OSes like Enea OSE and Linux. Simplify development of new projects by maximizing reuse of your existing code. Embedded Planet Board Support Packages provide complete software drivers for MPC 8xx and 82xx processors for Linux, VxWorks and INTEGRITY. Embedded Planet can also develop customer specific software for many operating systems. VxWorks Board Support Packages contain prebuilt RAM and ROM kernel images and documentation that describes installing and running the BSP. See online matrix for supported peripherals. Linux Board Support Packages contain prebuilt RAM and ROM kernel images and documentation that describes installing and running the BSP. See online matrix for supported peripherals. BSPs are offered free of charge, "AS IS"
HeartOS is a POSIX-based hard real-time operating system that is fast, light and well featured for small to medium embedded applications. HeartOS is modular, scalable & certifiable to DO-178B, Level A.